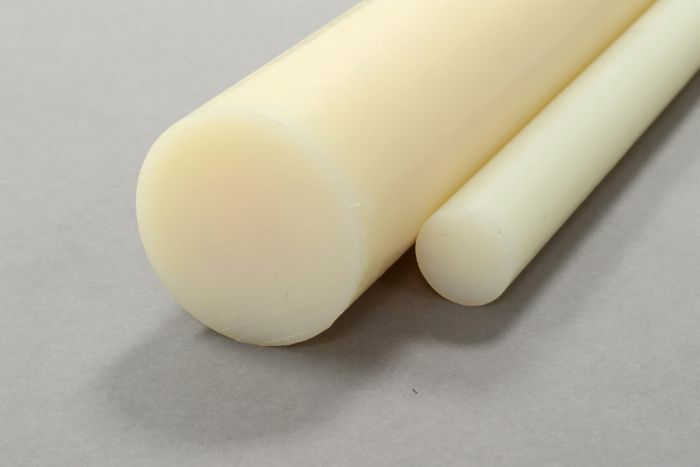 Nylon 66 exhibits good rigidity, hardness, abrasion resistance and thermal dimensional stability and also shows outstanding wear resistance and low frictional properties. Well suited for machining on automatic lathes, it has been successfully used in diverse applications ranging from electronics, marine, and automotive industries, to forestry, construction and mining. Compared with Nylon 6, Nylon 66 has a higher mechanical strength, stiffness, creep resistance and heat and wear resistance, but its impact strength and mechanical damping ability are reduced.